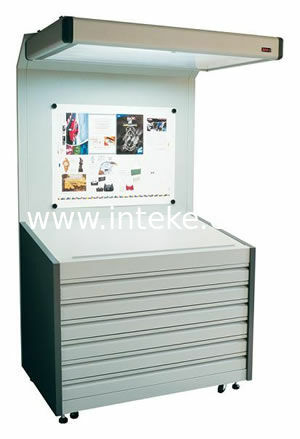 CPS Color Proof Station is designed especially for color comparison between objects and samples during the printing process. 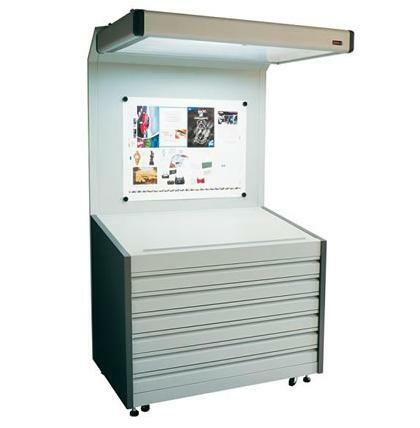 It adopts CPL asymmetrical standard lighting viewing box and can illuminate two working surfaces, i.e. the vertical surface with samples and the horizontal surface with objects. The drawer beneath the working table can house films and PS plates. It's equipped with rolling track, which enables it to slide under weight.